An open topped tour you can hop on, hop off too! The New Forest sightseeing bus in this stunning UK National Park is called the New Forest Tour. It makes exploring and discovering this UK National Park so easy. It helps keep the forest "green" as less cars travel over this beautiful environment too. The New Forest sightseeing bus tour really does cover an awful lot of this wonderful area. It's a bit like if you visit Disneyland - there's so much to see and enjoy but if you don't plan it you can miss bits which you may regret later. Study the 3 routes, see where they stop and decide if you want to get off and explore and visit certain areas. Then decide if you will have enough time to pack it all in. You can buy multiple days which is good and during your ride on the New Forest sightseeing bus you wont have to drive, find a parking space or even pay to park either! How great is that - and you're being very "green" so well done you. Why do I recommend the New Forest sightseeing bus? I'd really recommend a day out on the New Forest Tour sightseeing bus. It's open topped and is hop on, hop off and you can take your bike! 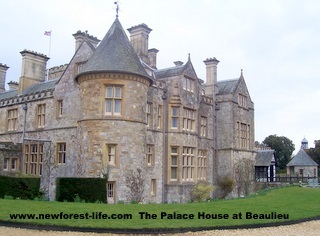 Read my New Forest Tour Bus Review and also my New Forest Tour Red Route Review. 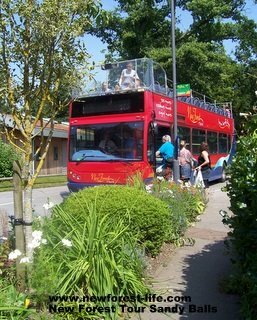 Look at the photos and see what it's like to explore the New Forest from the open top deck! 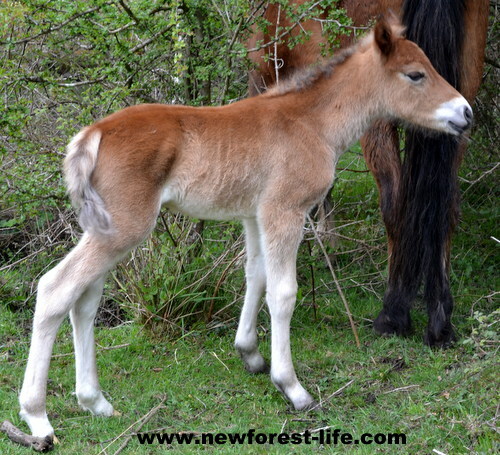 We're all trying to make the New Forest greener so please help by taking the New Forest Tour! New Forest Tour Bus 2018 dates. 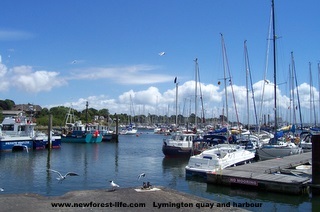 This year there are 3 New Forest Tour Routes starting on Saturday 7th July to Sunday th 9September. Additional stopping places to enjoy farm animals, wildlife and the Hythe ferry have been added as the New Forest National Park is trying to become as "green" as possible and discourage as many cars as is feasible from cruising around the forest. Travels through Lyndhurst - Holland's Wood campsite - Brockenhurst (mainline rail connection)- Lymington - Beaulieu (National Motor Museum) - Exbury Gardens and steam train- Hythe and Hythe Ferry (connects to Southampton) - Debden Purlieu - Beaulieu Road rail station - Lyndhurst. I took this tour last year so read where I discovered in my review! Lyndhurst - Helmsley tea Rooms - Burley (Queen's Head pub) - Ringwood - Fordingbridge - Sandy Balls Holiday Village - Brook (Green Dragon pub) - Cadnam Stores - Ashurst Post Office - Longdown Activity Farm - New Forest Wildlife Park - Ashurst rail station- Lyndhurst. Brockenhurst rail station - Helmsley Tea Rooms - Burley Queen's Head pub - Thorney Hill Crossroads - Bashley Rising Sun pub - Hoburne Bashley Caravan Park - New Milton rail station - Barton on Sea Beachcomber Cafe - Shorefield Country Park - Milford on Sea Needles Eye Cafe - Keyhaven Road Memorial - Lymington High Street - Brockenhurst rail station. New Forest Tour customers can enjoy some bargains. You could discover the whole of the New Forest by bus if you planned your trip using the booking offers. Visitors from Southampton can enjoy a free cruise across on Hythe Ferry to join the Tour in Hythe, when they buy a New Forest Tour ticket from Hythe Ferry in Southampton. Tour passengers can also enjoy free bus travel to and from Salisbury, Southampton and Bournemouth on selected scheduled services. Simply buy your New Forest Tour ticket on scheduled bus services leaving these locations. Looking at the prices I think you can really have some good days out by planning your routes and buying a 2 day pass or more. It can get you right round the New Forest seeing all the sights at a good price. By the time you take petrol and car parking into account you may save money! Don't forget it stops at most of the major campsites and you can take your bike too. This really is a New Forest sightseeing bus! 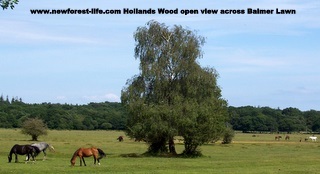 Open topped views of villages, woodland, beautiful coast, heaths, and all the animals are fantastic. I found you can be really nosy on that top deck and peek into gardens - don't tell anyone. Circular tour with stops in Brockenhurst, Lymington, Beaulieu Village and the chance to stop off and visit the National Motor Museum, Exbury Gardens and Steam Railway and Lyndhurst. Hop on, hop off - there are stops throughout the circular route to get back on the bus again - we stopped off at Lymington for an hour. Pick ups outside Hollands Wood and Denny Wood campsites - very handy for a fun day out from camp. The audio guide gives you a really interesting insight into this stunning UK National Park. The Brand New Forest Card gives you discounts on attractions, gifts, local food and produce and cream teas too! Discounts and offers to various places you stop at on the way and a half price offer on your next trip on the New Forest Tour Bus. The New Forest Tour Bus Guide gives a chance to explore on a couple of walks - the map is included in the guide - and a 6 mile cycle route which you may want to explore on your day out. 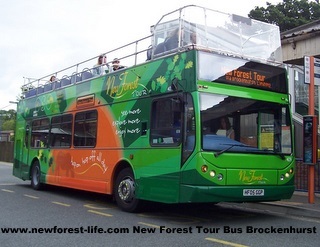 The New Forest sightseeing bus tour - why did we love our day out? I hope your stay in the New Forest UK National Park is a truly memorable one and that you see lots of the wonderful wildlife sights on offer and learn and enjoy all about this beautiful landscape. It can't get much better than an open topped, hop on and hop off sightseeing bus can it? Enjoy your New Forest sightseeing bus Tour experience and come back soon!